Hello, my name is Inigo Montoya, you killed my father, prepare to die!! Definitely my favourite character in the movie! Inigo is searching for the six-fingered man so that he can get revenge for his fathers murder. 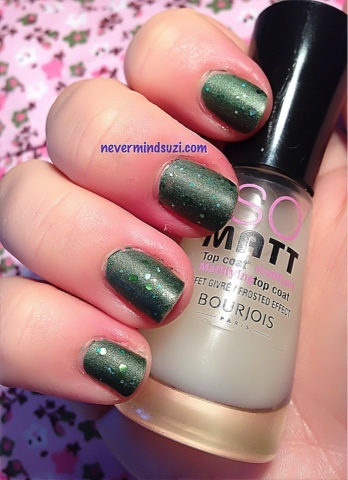 A green tinged base filled with green glitters. I wore this over A-England Dragon, a lovely olive green with a holographic finish. Add a coat of Bourjois So Matt and check out those new depths of colour!